Around one in four small businesses are affected by some kind of fraud every year. It’s a very serious problem that causes billions of pounds in losses, and most businesses have come into contact with a form of fraud, even if the situation didn’t happen to them. 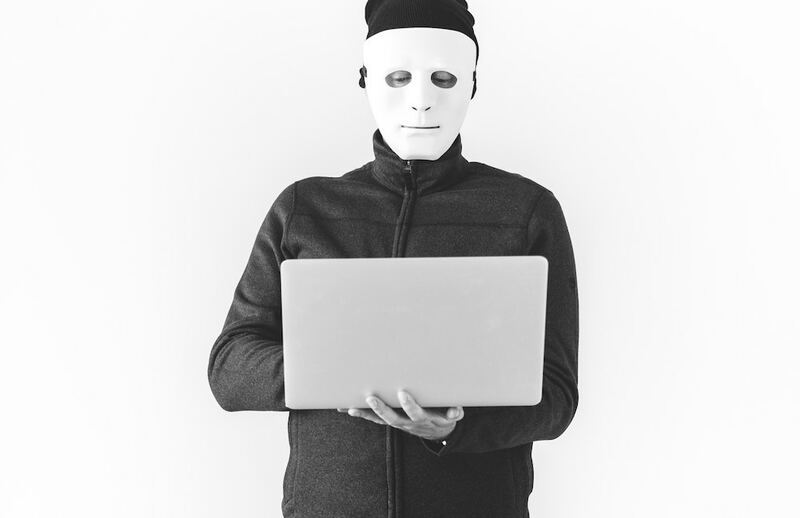 While many businesses are becoming more savvy, some don’t believe that they will fall victim to any type of fraudulent interactions. To prevent fraud in your business, you must first identify where you might be at risk. Risks can come from customers, employees, suppliers, and even your business assets. It’s not just up to your office to be good at identifying risks – everyone involved in your business should be able to at least attempt identifying any fraud risks. For businesses that deal with customers in-person, there is the issue of counterfeit money being used in transactions. Even if your business only accepts card payments online, fake credit or debit cards can be used, or even stolen cards that don’t belong to the person making the purchase. Identity theft is a huge issue in the world, so even training your staff members in a few basic ways to spot a bad payment or counterfeit money will help keep your business running. Customers can, in this situation, refer to any person who does not directly work for your company, but still has financial dealings with you. When we mention employees and fraud, we definitely aren’t implying that any employees in a business would try to be fraudulent. However, employees are often the target of scams and fraud, because many employees are often the first line of contact in a company and trained to deal with their own situations. Fraud is becoming more sophisticated, and employees are vulnerable to false payments, embezzlement, information theft, and many other issues. Employees can leave their company susceptible to fraud if they do not have the tools to battle fraud attempts. Always train your employees in the newest fraud techniques, and how to identify fraudulent emails and phone calls. Most fraudulent activity can be spotted by putting a few effective processes in place to help minimise or catch illegal behaviour. First, employees must know what to look for, then, they need to know what to do next. The most common types of fraud in business are those that involve finances – such as accounts payable and accounting issues. To commit fraud, a person must have access to money and accounts in order to make their false payment, steal someone’s identity, or do something similar. Train your employees to ensure they understand your company’s procedures, especially in regard to any payments that need to be made to or from the company. Every employee should follow your company guidelines to the letter and should be able to easily detect spam emails and fake accounts being used for purchases. Remember: If something doesn’t look right, it probably isn’t. Of course, keeping a firm handle on your paperwork can go a long way to preventing fraud in and outside your business. Paperwork theft is still one of the biggest causes of identity theft and fraud in this country, particularly from business owners who throw paperwork with sensitive data on it straight into the recycling bin. If you’d like to know more about how you can protect your business from fraud and still get your recycling fix, just get in touch with us today. Recent news of the impact we have on the planet has made most of us sit up and take notice of our own recycling habits. While it’s easy to see the ways in which we can make a difference at home, it’s often a different story in the workplace. There are many benefits to going green in the office, including reduced costs and enhanced productivity. It can also improve the way customers and clients view your company, and who wouldn’t want that? If this sounds appealing to you read on for our 8 top tips to help you go greener in the office. Cutting down on the number of printed documents is an easy way to begin your journey to a greener office. Take a moment before printing to consider if you need a paper copy of this document. If the answer is no, easy, don’t print. If you’re not sure, try not printing and see if you come back to do it later. You can also make the documents you do need to print greener by printing double-sided or using the eco-mode on your printer. Save energy by turning off all non-essential appliances before leaving the office. If you usually hit standby make sure you are fully shutting down instead. This doesn’t only apply for home time, but should also be best practice for when you’re leaving for a long meeting or lunch too. Make recycling easy by creating a station with clear information. If you provide staff with a simple way to sort their rubbish they will be more inclined to do so on a regular basis. Think about designating sections for documents that need to be shredded, ink cartridges and even WEEE electrical waste. Switch to recycled products wherever possible. This could be printer paper, stationery, paper towels or refillable ink cartridges. Speak to your suppliers about the most eco-friendly and cost-effective options and start switching. Literally turn your office green by filling it with plants. Plants have been proven to reduce stress, increase productivity and even lower sickness rates. It’s also nice to walk into a bright and green office every morning, putting you in a good mood to start the day. Remove disposable options from the office if there are any, instead ask staff to use mugs and glasses over throwaway cups. Branded or personalised mugs are a great way to encourage everyone to get on board with this idea. If you’re prone to popping out and buying lunch each day, try switching to homemade lunches. You’ll cut down on packaging with reusable storage and save yourself quite a bit of money. Did you know the average lunch spend of around £5 per day equates to well over £1000 a year? Take it one step further and make the food you eat greener by cutting down on meat and using in-season & local produce. Use environmentally friendly products to clean your office. There are so many brands offering animal and planet friendly products now that you are spoilt for choice. If you use a cleaning service, discuss with them what options they can offer you. Now we’ve given you the tools you need to get started we hope you will give green a go. Don’t forget that we can help you dispose of unwanted documents in a safe and secure way. Once your documents are shredded they are recycled and returned as low-grade paper – another great way to keep up the green ethos. Sign up for one of our paper shredding services online today or get in touch to discuss your requirements. It may not seem like something that you should be thinking about during the festive season, but if you get a bit of downtime in your business over Christmas, then it might be the perfect opportunity to consider how you can best approach data security. We know it can be hard to consider the best way to make sure that your business data is safe, so as a Christmas gift to you, we’ve put together some of the best approaches to take and things to think about this year. Remembering all of your different passwords might be difficult, but remember they are there for a reason. Mainly, They’re there to make sure that your computer-based data is kept safe and secure. Passwords are unique to the user and therefore it should be something that is memorable. That said, it should never be something that could be easy to guess, like your birthday, your pets name or your anniversary. It’s a good idea to not only look at your own passwords, but also to ensure that your staff do too on a regular basis. Changing passwords and ensuring that they are as secure as possible is a good task to set for Christmas time, as it will be easy to remember when you need to revisit them. Whilst we are all moving towards a relatively paperless world, chances are that there is still likely to be some physical data and paperwork that we hold as businesses. It is important that this physical data never gets into the wrong hands, which means that you need to do your best to keep it safe. Shredding is hands down the best option for this. Not only does it destroy the data, but it also disposes of it in a fashion that ensures that it could never be put back together. And it’s a perfect festive task – just whack on some Christmas music and sing along! Knowledge is power, and this is definitely true when it comes to data for your business. Take the time to understand not only the data that you need to keep secure for your business – but why it’s important that this data is kept secure too. Not only this, but if you employ staff in your business, then perhaps you should encourage them to learn more about data too. After all, the biggest security weakness in any business is it’s people, and educating your team about data security will help them be on board with any new rules or policies that you are planning on putting in place. In this modern world, the way that we store things is really starting to change. The cloud is just one example of this. Storage for data has become remote, and with this there is the added safety and security that can come with cloud-based storage. Of course, there are some concerns when it comes to how things are stored on the Cloud, and many business owners are still concerned about sending their data somewhere off-site (even though for disaster recovery purposes this is a good thing). But if you choose a reputable storage provider, then everything should be fine, and all your questions will be answered. At Hungry Shredder, we spend most of our time shredding sensitive documentation for businesses who don’t have the time or resource to do it in-house, but know it is an important part of their data security plans. Out outsourced document shredding service is the perfect way to ensure you keep your business data safe, without having to lose too much of your valuable time on it. If you would like to know more about our festive shredding offers, just get in touch with us today. The holiday season is upon us once again, and that can mean only one thing: mountains of presents wrapped in a variety of packaging. 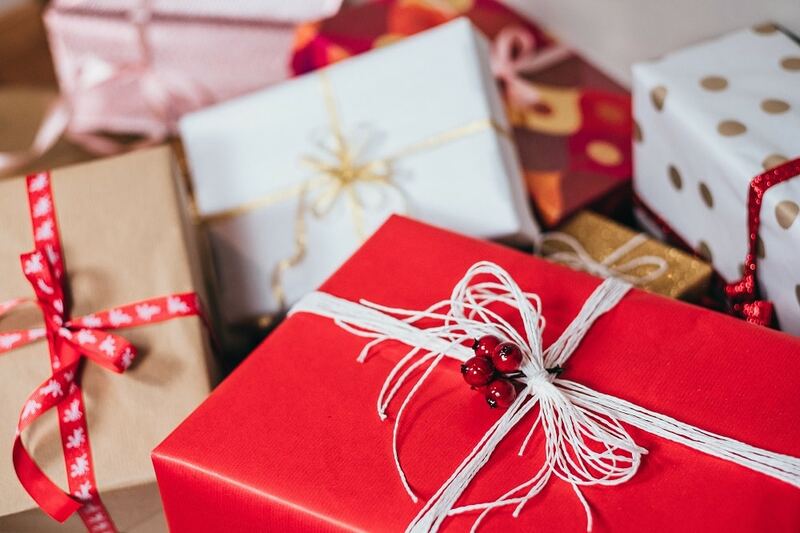 Family households are known for shoving all of this into a black bag or into the recycling bin and hoping for the best, but with everything from cardboard to dyed wrapping paper helping us hide our special gifts, there are a few things that you should know. Some local authorities will accept wrapping paper in home recycling collections, but not all. This is because some recycled paper mills do not take wrapping paper. The materials that go into making some kinds of wrapping paper result in a paper that can’t be recycled. This is because this wrapping paper contains non-paper additives such as glitter, which can’t be recycled with the paper. Before you try and recycle wrapping paper that can definitely be recycled (wrapping paper that is plain and/or non-laminated, if it’s coloured) ensure that you remove any sticky tape, ribbons, and bows. 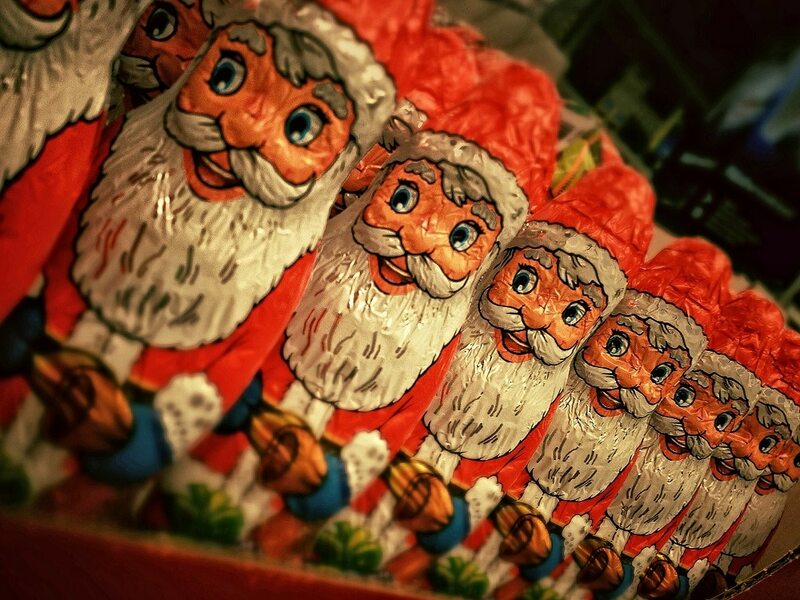 These store-bought decorations often cannot be recycled. A good way to know whether or not you can recycle your wrapping paper is this: if you can scrunch it up, it can be recycled. Tinsel, and glass or plastic baubles should be carefully disposed of in your general waste, but lights and wreaths can be recycled. If your wreath is made of natural materials, it can be recycled as green or garden waste once the glitter, ribbons, and bows have been removed from it. Fairy lights are becoming increasingly popular at Christmas time and are even used to light up and showcase some gifts. These can be recycled at household waste recycling centres, though some local authorities may be happy to collect small electricals as a part of their recycling collections – you could also check the large recycling bins at supermarkets to see if they can be put there. However, any item that is classed as a piece of Waste Electrical and Electronic Equipment should be disposed of at a designated area, typically a household waste recycling centre, rather than put into general waste. Any item that has a plug or uses batteries (such as the LED lights that are used to decorate gift boxes etc.) is classed as electrical waste. Labels and envelopes are everywhere during Christmas time. You may not think about it, but some of these contain sensitive personal information and you should endeavour to keep them in your pile of “things that need to be shredded”. If a label or envelope has your name and address on it, it could be classed as a sensitive document, because it reveals your personal information. Try to keep these paper items away from the rest of your recyclables until you have found the time to shred them. Afterwards, put all of your shredded paper into your paper and cardboard recycling box. Remember, if you get a gift in the mail, pull off its name and address label to be shredded. If you have a full bin already (and at Christmas that wouldn’t surprise us!) then you might want to hire in a shredding company to help. At Hungry Shredder, we run an on and off-site shredding service guaranteed to help you through the festive season, and increase your recycling too! For more information, get in touch with us today. Paperwork is piling up on your desk and in your draws; it’s old and unneeded but you haven’t gotten around to throwing it out yet. The recycling bin is overflowing with complete pages containing information – sensitive and otherwise. But no one seems to be shredding anything, at all. And from your desk, you realise that you don’t think you’ve ever seen a shredder. So why is shredding your documents so important? Picture The Wolf of Wall Street. Jordan, wearing a wire, talks to Donnie while they share a meal together. Jordan slips Donnie a note that says: “Don’t incriminate yourself, I’m wearing a wire.” Donnie falters but manages to not say anything that would cause an issue later on or get him arrested. But what happens to the note? Well, if you’ve seen the film, you’ll know that Jordan is addressed the next morning, and the agents that pick him up have the note in-hand. Obviously, this implies that Donnie threw Jordan under the bus and snitched. This situation could have been avoided if Jordan had remembered to take the note away from Donnie and shred or burn it. 1997, The Devil’s Advocate. “You got a problem with documents? 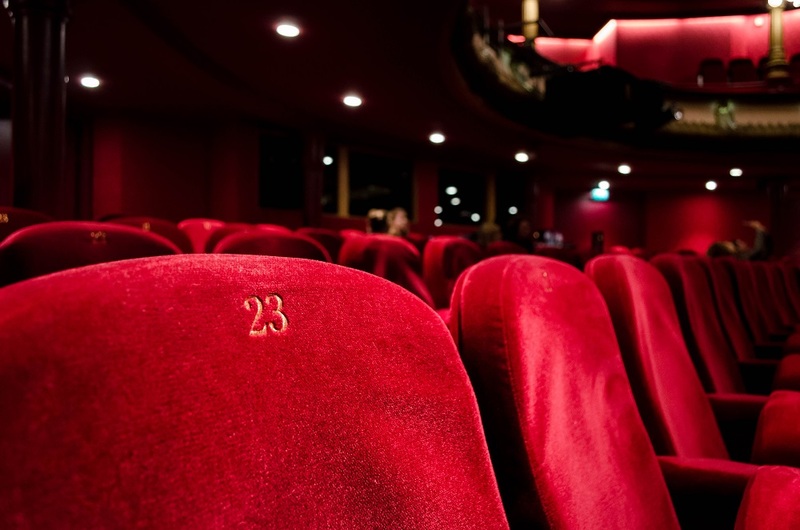 Put together one of your late-night shredding sessions.” We see a lot of Hollywood films and popular, modern TV shows that take place in the business industry – many of the more dramatic ones include scenes where someone is shredding something late at night. They do it quickly and quietly but are almost always caught. If we move away from Hollywood movies for a moment and look at a couple of TV series that include shredding scenes, the first that may come to mind is Better Call Saul, which included a shredding scene in the second teaser trailer of a few fake licenses and a Police Report being shredded. Suits is another great example of why shredding your documents is important – given that there are entire episodes dedicated to why having a paper trail can be bad for business. Of course, this is a little dramatized, because otherwise it wouldn’t make good TV! But on the other side of the TV screen, real businesses have paper trails. They have documents for their employees, invoices for clients, personal information tucked into draws, and company records stored on-site. When an employee can’t find a particular file, do they not panic when they realise it’s gone missing? Some documents can be replaced, but the ones that go missing are concerning, to say the least. No matter the type of document, one thing is clear: Shred it. Not shredding your documents can lead to the downfall of you and/or your business. Documents always contain sensitive information; everything from photocopies of licenses to signed contracts. If one is lost or thrown away without being properly disposed of, it can lead to a lot of issues. The best thing to do is shred every document that you or your company are finished with. Keep a record of what is shredded, and how it is disposed of afterwards. At Hungry Shredder, we work with business owners just like yours, helping them avoid these shredding scandals and possible problems. 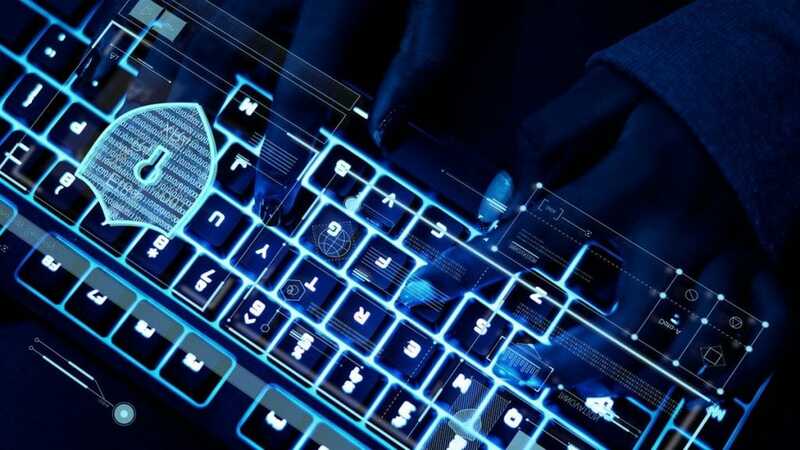 Businesses big and small have been caught out by forgetting to shred sensitive information – some have lost their customer’s data and had to close, and others have revealed criminal activity. Whatever your reasons, the message is clear – shred it, don’t store it. For more information, just get in touch with us today. As a business owner, your main aim is to protect and grow your business. And yet, every year 1 in 4 small and medium-sized businesses are affected by fraud. Fraud attempts can affect any business of any size, and can cost upwards of £18.9 billion in losses. Much as you might not like to think about it, fraud is a very real risk to your business, and something you should ensure you have protections in place for. But the problem is, a lot of small business owners aren’t really sure what fraud looks like and what the risks are, let along how to protect themselves against it. So today, we have a few pointers for you. Risks From Employees – No one likes to think that their employees would defraud them, but sadly, it can and does happen. Whether they are disgruntled ex-employees or just bad people, they have access to information that could ruin your business. Risks To Business Assets – What assets does your business have that could prove a valuable target for fraudsters? This could include buildings, equipment and cash, as well as customer data, brand identity and even future product ideas. Business Identity Theft – Business identity theft is a lot like personal identity theft. It happens when a thief or fraudster impersonates your business to access information, make orders or steal money or alter key information for the business. Fraudsters will often misuse genuine credentials for the business, stolen through hacking or physical theft. Intellectual Property Theft – Intellectual property theft involved copying your company’s creative property, and then using it for personal or business gain. This kind of theft can be perpetrated by individuals and businesses alike, and is most commonly found in corporate espionage. Intellectual property is a form of intangible asset, and covers anything from products and inventions to designs, the contents of a book and your company branding. Company Data Hacking – This is one of the more well-known forms of fraud, since it’s often talked about in the news. This is when a criminal or disgruntled employee will unlawfully access your company data and steal it. They could then sell it on the black market, use it for identity theft or even for extortion, which is what makes company data so valuable, and dangerous if it gets into the wrong hands. So how do businesses protect themselves against fraud? By protecting the security of their documentation. Fraud often occurs because thieves gain access to bank account information, passwords or other information that has been written down and then discarded. These documents can be picked up by anyone, from desks and bins to the big recycle bins, and even at recycling plants. That’s why having a shredding solution in place is essential to protect your business from fraud. Ensuring you collect sensitive information and store it securely when it is no longer needed is the first step of the process. Next, you will need a secure, accredited shredding partner to dispose of the documents for you safely, and provide you with a certificate of destruction afterwards to prove it. At Hungry Shredder, we help businesses protect themselves against fraud, corporate espionage and theft by providing a secure document shredding service. Our experts can provide you with a selection of secure sacks for you to store your documents in, as well as both on and off-site shredding solutions, so that your business can rest easy knowing that your business data is safe. For more information, please get in touch with us today. The way consumers buy from businesses is changing. Now it’s not always about what’s most convenient, or even what’s cheapest. It’s about what fits with their values, and provides the experience they need. But more than that, it’s about trust. We are in the era of ‘people buy people’, and consumers are gravitating more and more towards purchasing from brands that they trust. So if you want to grow your business, you need to be able to earn their trust. Shredding is a great way to do this, and we have 3 reasons why. Data security is a fundamental essential for every business, regardless of industry or customer base. If a customer can’t trust a business to take care of their data, then they will never spend money with them. And if they demonstrate that they can’t handle that data, they will lose customers. Just look at the numbers of people who boycott big brands after a data breach is announced. So businesses need to be able to prove that they can handle, store and dispose of their customers’ data in a secure manner. Secure shredding services like ours are a perfect way to do this, with an easy to demonstrate procedure that increases trust. Over 10,000 sheets of paper used by one single office worker in just one year are considered wasted paper. That’s a huge amount of paper, and no business trying to claim genuine corporate social responsibility (we’ll get to that in a minute) could allow this to end up in landfill. 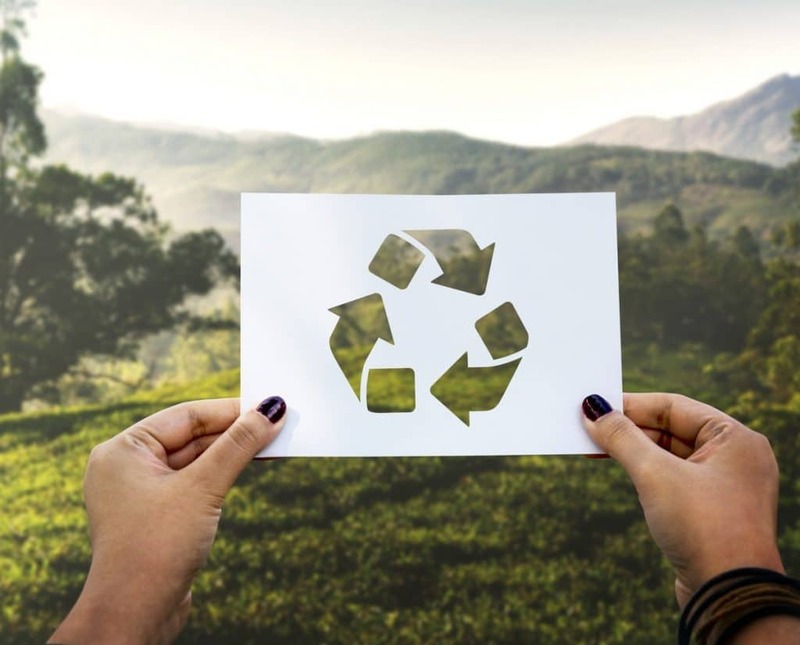 When it comes to environmental considerations, paper is one of those ‘easy wins’ to help reduce waste, increase recycling and improve the environment. Shredding paper contributes to a business’s green initiative, providing a simple and effective way to enable better recycling of waste paper and documents. Every business has a responsibility to ensure they have a minimal impact on the environment, and being able to show that you do this goes a long way to building consumer trust. There are a lot of things businesses do today that fulfil the role of corporate responsibility, but are done simply to fill that role, and not to actually make a difference. But when you strip it back, corporate responsibility is all about conducting business in a way that’s ethical, taking account of issues that have an economic, social and environmental impact, as well as human rights. 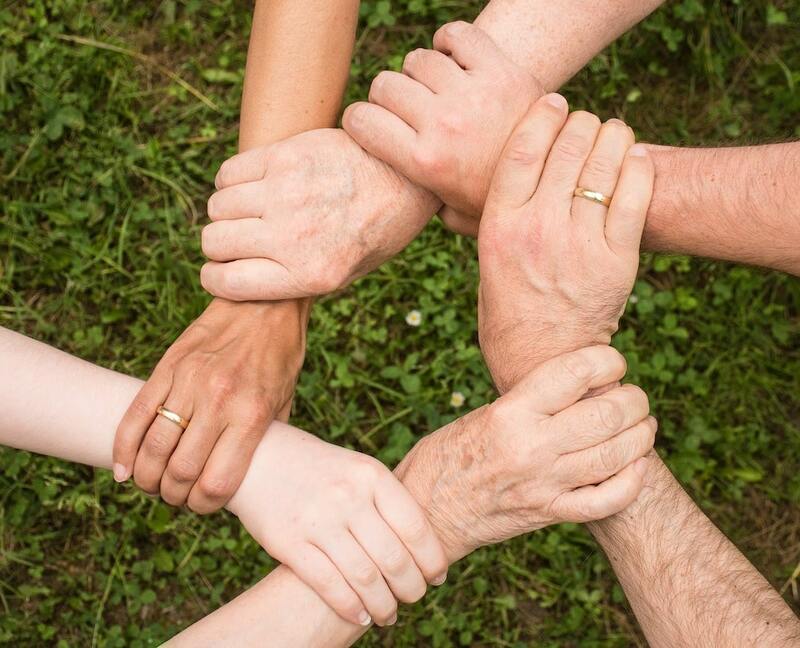 And over the last few years corporate responsibility has been thrust into the limelight, and customers are becoming savvier when it comes to businesses claiming corporate social responsibility, but providing little evidence of it. Given the importance of customer social responsibility to consumers, it’s important for businesses to find a genuine way to commit to it, and show it. Paper shredding is one of those ways. It’s a tangible process that produces the kind of real, quantifiable results that genuinely impress consumers. At Hungry Shredder we see our job as helping businesses fulfil their corporate responsibilities in a simple and easy way. Our click and collect shredding and shred-on-site solutions are designed to be simple, fit seamlessly into your existing business systems and help you make real environmental change at the same time. For more information, just get in touch with us today. 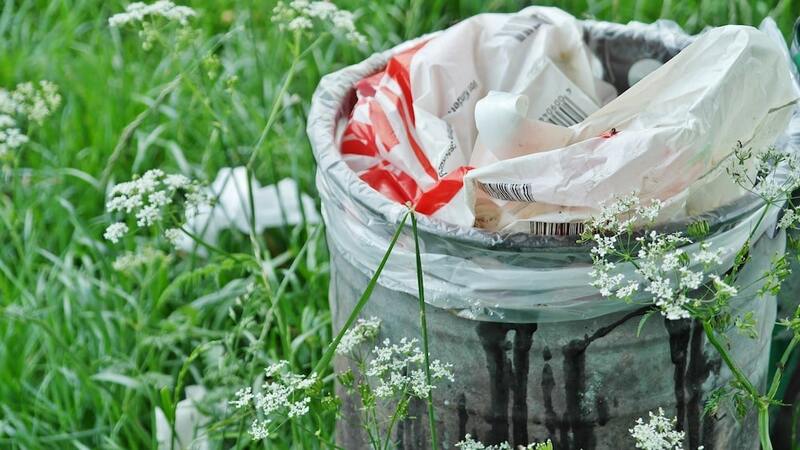 If you’ve been on the internet, social media or even Netflix over the last few months, you’ve probably heard of the ‘zero waste’ movement. It’s both a philosophy and a strategy for living that aims to reduce the human production of rubbish – particularly plastics, palm oils and other things that are harmful to our environment. Plastic straws are the current target, with consumers calling for businesses to stop supplying them, and instead switch to paper alternatives. And while you might think that this consumer movement doesn’t impact you as a business, think again. Because as customers become more loyal to businesses who use paper products over plastic, you will need to change, and that will result in more paper waste for your business to deal with. So today, we wanted to look at the impact of the zero waste movement on businesses, how you can commit to it yourself, and how to handle your paper waste. Business people are real system optimisers. They don’t like “waste” because it is the result of a system inefficiency. Not only “waste” costs businesses money, but it also symbolises bad design as a whole. As circular thinking is getting popular, leaders from around the world are realising the perfect alignment between the zero-waste philosophy and business performance. Even smaller changes in the supply chain can have a ripple effect that’s positive to the bottom line, all of which helps the business become more successful. Plus, the positive press and goodwill that is generated from the zero-waste, environmentally friendly stance has been shown to translate into increased sales and customer loyalty. So overall, going zero-waste makes good business sense. And it’s good for the environment too. Achieving zero waste requires significant management commitment, because it can impact every facet of a business. From product design, choice of manufacturing processes, logistics and supply chain decisions as well as waste management and recycling considerations. The supply chain processes play a pivotal role in realising targets through developing more sustainable product management and recycling practices. So the first step is to analyse every part of your business to determine where the waste is being generated. This may result in you switching manufacturers or suppliers, or even choosing to take some things in-house that you were previously outsourcing. A major change will be to opt for paper or biodegradable materials in your business instead of plastic, which not only reduces the environmental impact your business will have, but also makes it easier for you to dispose of waste ethically. The good thing about zero waste is that it significantly reduces the amount of plastic waste businesses produce. But that plastic has to be replaced with something, and for most businesses, the best alternative is paper. That leaves you with another problem – what do you do with all the paper?! Thankfully, this is an easy one to solve. If you’re in retail and using paper for things like food containers, coffee cups and so on, most suppliers will also offer a collection and recycle scheme as part of the service. So you can fill a box, bag or other container and have it collected to be recycled. You also have kerbside recycling options, if they exist for businesses in your area. But for all of the other paper waste your business is producing, you have shredding companies like us. We take all of your unneeded, waste paper, and feed it through our industrial shredding units. The resulting shreds are secure – so you don’t have to worry about losing data – and formed into huge bales. These are then sent off to recycling plants all over the country to be reused again and again, reducing the amount of new paper needed and cutting down significantly on plastic manufacturing too. And we don’t just take paper – we can also destroy and recycle hard drives, old products, even fabric and clothing! At Hungry Shredder, we work with businesses across the UK who want to reduce the amount of waste they are producing and support the environment. Our secure shredding service is designed to give businesses two main advantages – an environmentally friendly way to dispose of their waste products, with the peace of mind of knowing they have been disposed of securely and safely, in line with government guidelines and GDPR. If you would like to know more about how we can help you dispose of your waste effectively, just get in touch with us today. When it comes to shredding, there are a lot of different options out there for you. Sometimes that can seem a bit confusing, and it can be difficult to work out what is best for your business. So today we’re here to help. There are essentially 2 different options available to you – on-site shredding, and warehouse or ‘plant’ based shredding, and choosing the right one is important for the security of your confidential data. But what are the differences, and what does your choice mean for your business? The important thing to remember here is that on-site shredding is not the same as in-house shredding. With in-house shredding, you are handling the job alone, probably with nothing more than a shop bought cross-cut shredder and employees who are not trained in how to handle confidential information properly. By contrast, on-site shredding is provided by an external professional data destruction service, on your premises. So even though the documents don’t leave your business location, it’s not your employees who are handling the process. Rather, the professionals are handling all of the shredding related tasks to ensure that the procedures utilised are proven to be completely secure. All materials designated to be shredded will be destroyed before the shredding company’s lorry leaves your location, providing you with peace of mind and ultimate security. Your business prepares for on-site shredding by separating out all of the paperwork you are looking to shred. This is usually done using a secure shredding sack or unit, like this one. 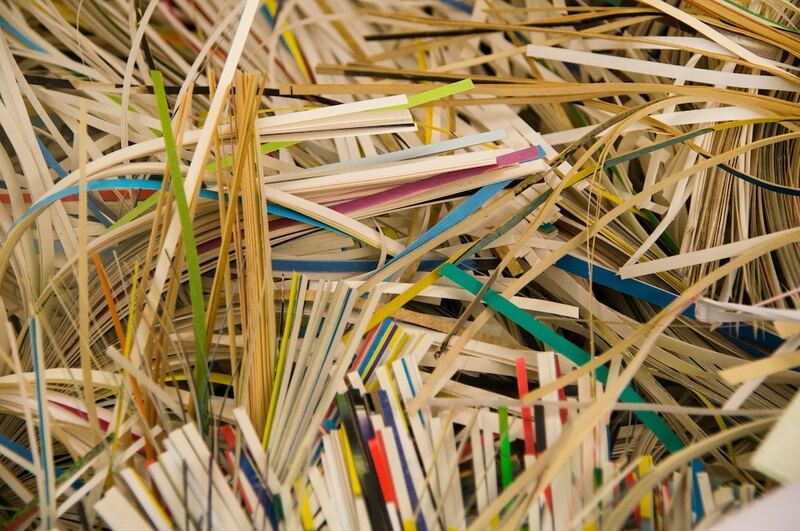 From there, there are two types of on-site shredding – one off and an ongoing service. The first is what you would expect – the shredding company comes once and shreds all of your designated material. With ongoing shredding, the company will come to your premises on a regular basis to shred any confidential material you’ve built up during that time. This is particularly popular for solicitors and other businesses that deal in high volumes of confidential paperwork. The load is then fed into the shredding company’s mobile shredding lorry, and you are provided with a certificate of destruction, which you can use to prove that you have met your obligations. Documents don’t leave your premises, ensuring complete security. Significantly reduces employee time spent on shredding. It can be more expensive than warehouse based shredding. Warehouse or ‘off-site’ shredding is another form of outsourced shredding solution, but the shredding is taken to a warehouse, instead of the warehouse coming to the office. Instead, a designated employee will bring the shredding sacks to the shredding company’s warehouse, where they will be processed. Swing-shift employees at the facility typically sort the material to be shredded on conveyor belts and then the material is shredded by a plant-based shredder. The shred size generated by plant-based shredders is typically similar to what is generated by on-site shredding. This option is even simpler than on-site shredding in some ways. Your business will store any documents that require secure destruction into a secure unit or sack until it is full. At that point, someone from the business will bring those documents to the shredding centre, or a courier will be arranged to collect them. The documents are then shredded using warehouse based shredding machines, and a certificate of destruction sent back to the business as confirmation that the service has been completed. It doesn’t pull your employees away from their duties for very long. You will not have to find a lot of storage space for obsolete material. It can be less expensive than on-site shredding. Your documents travel away from your business location, increasing the risk of loss or theft. Your documents could sit for hours or even days in a warehouse before the job is completed. Documents will pass through several hands before being shredded, increasing risk. At Hungry Shredder, we specialise in making paperwork destruction as painless as possible for your business. Our secure shredding service mean that collecting data (and keeping it safe during the process) has never been simpler and will be easy to adopt throughout the company. We operate on both an on-site and a warehouse model, so you can chose the right shredding solution for your and your business. For more information, just get in touch with us today. With less than a month to go, GDPR is causing a huge wave of activity from business owners across the UK, and probably across the whole of Europe too. But while a lot of businesses are focussing their efforts of digital security, they are missing one very important component of the regulation – their paper-based data. Just because the world is moving into digital processing, doesn’t mean that paper-based risk has gone away completely, and it would be a costly mistake to make. Since that study was done, a 20% increase in loss or theft of paperwork has been observed. So you see, when paperwork presents nearly 50% of the risk, why is it not receiving 50% of the attention? And how do you protect your business? Why Do I Need To Shred? Simply put, shredding your paperwork is the single most secure way to dispose of it. Not only that, but it helps your business meet its GDPR requirements for data security by providing an effective and secure way of disposing of data, preventing access by third parties. After all, GDPR is concerned with how personal data is handled by businesses in both electronic and paper format. If you don’t have processes in place to protect the data you hold in hard copy, you are leaving yourself open to serious security risk, and potential fines from the EU regulator. This is because, under GDPR, you are liable if a data breach leads to an individual’s personal information being stolen. One of the key components of data security is proper disposal of data – in any format. Unshredded documents can be read by anyone, so simply putting them in a bin or recycling bin isn’t going to cut it (see what we did there?). By shredding your documents once they have fulfilled their purpose, you are effectively destroying the information and preventing it from being read by third parties – fulfilling your obligations in one, simple action. What If I’m Already Shredding? Cross-Cut Shredders – cross cut shredders significantly increase the security of your destruction simply by adding in another blade. This leaves documents in tiny shreds that are almost impossible to reconstruct – which is what you need for GDPR level security. Find out more about cross cut shredders in our article here. Auto-feed Shredders – Because shredding is a time consuming and frankly, dull, task, one of the other big non-compliance issues is it simply not getting done. Auto-feed shredders remove the time-consuming element from the equation, since you just have to plonk a stack of documents on it and the machine will pull them through to shred. However, these machines are incredibly expensive and large, making them, a less than ideal solution. Secure Paper Destruction Services – And then there’s secret option number 3 – get someone else to do it for you. If you’re struggling to find the time to get your shredding done, or you need large volumes dealt with regularly, then outsourced shredding is the solution for you. Simply have a secure console (like a tall, enclosed bin) installed in your office and drop papers in as you’re done with them – your shredding partner takes care of the rest. At Hungry Shredder, we specialise in making paperwork destruction as painless as possible for your business. Our secure shredding service mean that collecting data (and keeping it safe during the process) has never been simpler and will be easy to adopt throughout the company. When your paperwork is collected, it’s shredded in one of our mobile shredding units, and you are provided with a data destruction certificate then and there – as proof that you’ve met your obligations under GDPR. For more information, just get in touch with us today.